If you are held back from a job opportunity due to a past conviction, you may be able to regain your rights with a Certificate of Good Conduct in New York. Certain conditions must be met to remove the parts of a sentence which automatically disqualifies you from some privileges. Let’s explain what rights a Certificate of Good Conduct restores. If you obtain a Certificate of Good Conduct, your right to apply for certain jobs may be restored along with other privileges. The certificate can help you move forward in your life and your career. Even though the certificate restores your application rights for job licenses, it does not guarantee that they will be granted. The right to serve as a child’s legal guardian may be restored, along with voting ability. If you wish to run for public office, the Certificate of Good Conduct is a mandatory requirement. When you hire an attorney to help you apply for a Certificate of Good Conduct, know that you must wait to apply until a certain period passes, according to your prior conviction. This waiting period is based on the most serious offense if a variety of offenses were charged. The waiting period begins from your prison release date or, if you did not serve time, from the date of your most recent felony conviction, whichever is later. For misdemeanor convictions, the wait is one year. For C, D, or E felony convictions, the wait is three years. For class A or B felonies, the wait is five years. You have no new offenses. You have made restitution and paid all fines for past offenses. Your rehabilitation coincides with the relief provided in the certificate. The relief provided in the certificate is in the best public interest. 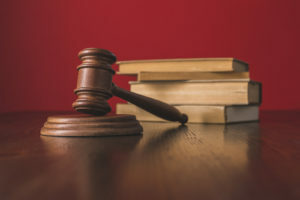 If your conviction occurred within another jurisdiction, you must be able to prove that New York law specifically applies to the facts of your case. After receiving your application, the Department of Corrections and Community Supervision will process your request. They will look at your income history, child or alimony support, income tax records, payment of fines, and other related information. Depending on the details of your case and the department backlog, it may be a year or two before your certificate is issued. If you enlist the help of a qualified attorney, they will help prepare your application and perform the preliminary research. They will represent you at any necessary hearings. The process can be complicated, and you can have greater peace of mind with a professional’s assistance. Call our office today to learn more about your eligibility for application. We are here to help you re-enter the workforce and public arena with greater success.